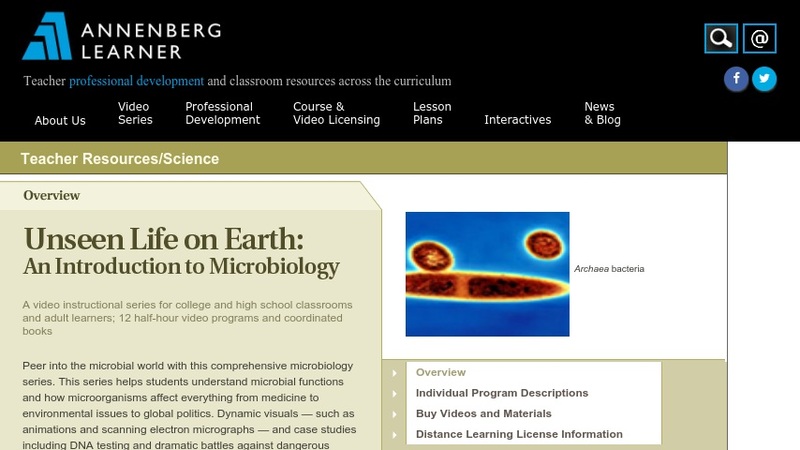 This page provides free Video On Demand access to 12 half-hour educational video programs that comprise the series Unseen Life on Earth: An Introduction to Microbiology. Topics covered include microbial metabolism, the role of microbes in global ecology, origins of life, molecular evolution, lateral gene transfer, microbial diversity, symbiosis, and infectious diseases. The programs are intended for use by college and high school classrooms and adult learners.